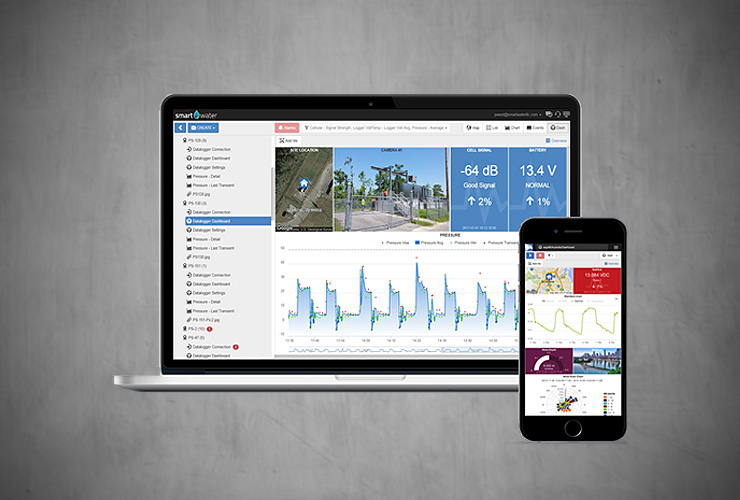 SWIMM consists of 3 product categories: SWIMM-Pulse high performance telemetry, SWIMM-Connect cloud data collection, storage, and visualization software, and SWIMM-Watch real-time modeling platform, providing your water utility with a wide range of solutions for monitoring and optimizing your buried infrastructure. SWIMM is a scalable Smart Utility platform which integrates high performance remote telemetry systems (pressure transients, water quality, flow, level, weather, etc.) with your existing SCADA, GIS, AMI, and hydraulic model to create a real-time decision support system (DSS) that helps your utility optimize network performance, customer response, and regulatory compliance. The SWIMM-Pulse NG-300 is our latest advancement in the pursuit of high performance remote monitoring, optimization, and protection of our nation’s public water and sewer infrastructure. The SWIMM-Pulse NG-300 low power RTU includes a high performance research grade datalogger/controller by Campbell Scientific (Logan, Utah), global manufacturer of rugged telemetry products for harsh and remote environments for over 40 years with over 300,000 units sold. The NG-300 is offered with internal or external radio options including the Sierra Wireless RV-50 industrial low-power cellular gateway operating on the Verizon 4G LTE network providing rapid and reliable data uploads to the SWIMM-Connect cloud data collection, storage, and visualization website, provided as a software-as-a-service (SaaS). The NG-300 is sensor agnostic in that it can integrate with almost any sensor or analyzer. Coupled with our low-power pressure transient detection module, level probe, water quality analyzer or integrated with existing flow meters, the SWIMM NG-300 provides unprecedented insights into water distribution or sewer collection networks. 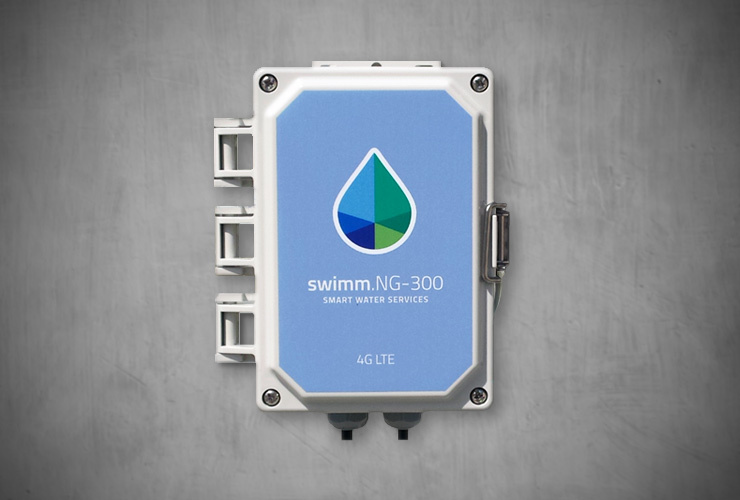 The NG-300 can also be incorporated into private or public wireless networks, and can be configured to simultaneously communicate with both SWIMM-Connect and your SCADA system using a provided OPC server. The SWIMM-Connect website is highly configurable allowing the user to modify data logger settings remotely as well as create custom dashboards on the fly with relative ease. 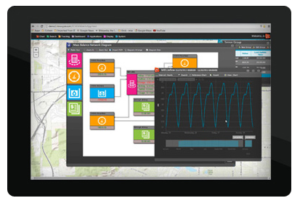 For those utilities who wish integrate SWIMM telemetry, SCADA, GIS, and hydraulic model, the SWIMM-Watch cloud-based platform provides the latest advancement in smart water network and real-time modeling technology. SWIMM-Connect provides your water utility a simple turn-key solution for monitoring, controlling, and managing your SWIMM-Pulse telemetry deployments. SWIMM-Connect is a combination communication server, database, and end-user web application that provides instant access and control of SWIMM-Pulse telemetry systems. SWIMM-Connect is powered by Eagle.io cloud technology and provided as a Software-as-a-Service (Saas) which includes: cellular service (Verizon 4G LTE), cloud database management (Mongo DB), the data visualization and control website application, and 24-hr customer support. 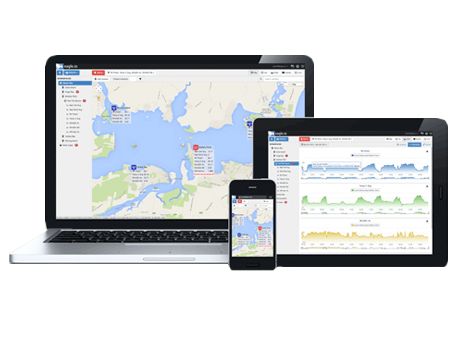 SWIMM-Connect accepts both TCP/IP and FTP data source connections allowing users to automatically connect alternative data sources in addition to SWIMM-Pulse telemetry products. SWIMM-Connect can also be configured to push data to 3rd party software applications and SCADA systems. The era of Smart Water Networks has arrived. 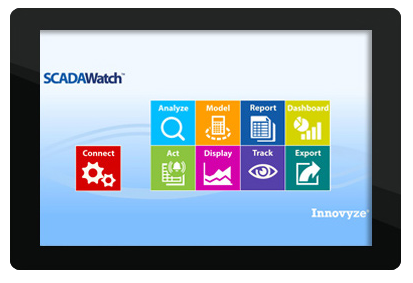 SCADAWatch is the latest advancement in Smart Water Network technology developed by Innovyze. 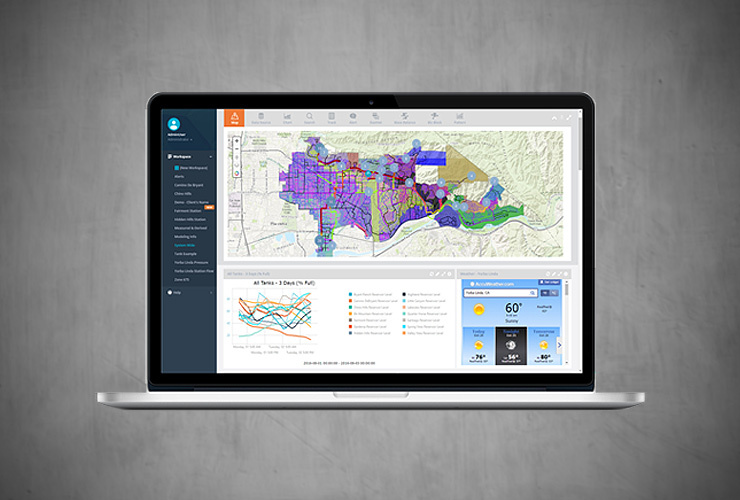 SCADAWatch is a powerful data visualization, analytics, and operational decision support (ODS) platform that integrates real-time SCADA data, ESRI ArcGIS Server, InfoWater model, and smart sensor data (AMI, pressure, flow, and water quality sensors) to revolutionize the way we monitor and analyze water distribution networks. Now network models can sit anywhere (the consultant’s office, plant control room, or the water utility’s engineering office) with a live connection to operational data for continuous model calibration and real-time model simulations of events in the distribution system network. SWIMM-Watch is the integration of the Innovyze SCADAWatch front end with the SWIMM-Nex.Gen telemetry system including Campbell Scientific backend to provide the most powerful combination of remote monitoring and control technologies to optimize virtually any point in your water supply and drinking water network.